1. "Bereavement Care"- A Training course for therapist, April 30, 2014, 15th Floor Sujinno Building, Maharaj Nakorn Chiang Mai. 2. Oral Presentation “Using Control Mastery Therapy with Borderline Patients”, Society of Psychotherapy Research (SPR), 44th July 10-13, 2013, Brisbane, Australia. 3. Poster presentation, Strength-Based Therapy (SBT): Incorporation of the ‘Great Human Strength’ concept within the psychotherapy model, Society of Psychotherapy Research (SPR), 44th July 10-13, 2013, Brisbane, Australia. 3. Poster presentation, What determines the level of agreement between patients and clinicians on suicidal ideation? A study of elderly residents in a nursing home, IPA 7-12 Sep, 2012 Cairn, Australia. 3. Presented two workshops in TSGN “Late-life depression” Pre-congress workshop 2011, Golden Tulip Hotel, Bangkok, 11October, 2011. 11. Poster presentation, How the interpersonal and attachment styles of therapists impact upon the therapeutic alliance and therapeutic outcomes. Society of Psychotherapy Research (SPR), 42th June29-July3, 2011, Bern, Switzerland. 12. Poster presentation, Attachment Score. Society of Psychotherapy Research (SPR), 42th June29-July3, 2011, Bern, Switzerland. 13. Poster presentation, A Woman with nightmare of Naga. Society of Psychotherapy Research (SPR), 42th June29-July3, 2011, Bern, Switzerland. 1. Chan-ob T. Boonyanaruthee V. Which subject scores are the best predictors in medical achievement? Chiang Mai Med Bull 1996; 35(4):189-94. 3. Srisurapanont M, Chan-ob T, Maneeton N. Comparison of the efficacy between risperidone and classical antipsychotics: a meta-analysis of randomized controlled trials in schizophrenia patients. J Psychiatr Assoc Thailand 1996;41:247-60. 4. Boonyanaruthee V, Chan-ob T. What kinds of characteristics are important for studying psychiatry? ASEAN J Psychiatry 1997; 5: 24-9. 5. Chan-ob T, Boonyanaruthee V. Meditation in association with psychosis. J Med Assoc Thai 1999; 82: 925-30. 7. Chan-ob T, Kuntawongse N, Boonyanaruthee V. Quetiapine for tic disorder: a case report. J Med Assoc Thai 2001; 84:1624-8. 8. Chan-ob T, Kuntawongse N, Boonyanaruthee V. Bupropion for amphetamine withdrawal syndrome. J Med Assoc Thai 2001;84:1763-5. 10. Boonyanaruthee V, Chan-ob T, Chulakadabba S, Ekasawin S, Khuangsirikul V, Lotrakul M, et al. An open, baseline controlled evaluation of sertraline safety and efficacy in the treatment of depression in thai patients. J Med Assoc Thai 2001;84:54-62. 11. Boonyanaruthee V, Chan-ob T. Good doctor: what good and bad attributes are? J Med Assoc Thai. 2002 Mar;85(3):361-8. 12. Wongpakaran N, Wongpakaran T, Angkatavanich V, Chaisrisawadisuk S. Psychiatric disorders in burn patients. J Psychiatr Assoc Thai 2003; 48(4): 138-48. 13. Pinyopornpanish M, Sribanditmonkol P, Boonyanaruthee V, Chan-ob T, Maneetorn N, Uaphanthasath R. Factors affecting low academic achievement of medical students in the faculty of medicine, Chiang Mai University. Chiang Mai Med Bull 2004; 43 (1): 15-23. 15. Wongpakaran N, Wongpakaran T. Personality disorder in medical students: measuring by IPDE-10. J Med Assoc Thai 2005; 88 (9):1278-81. 16. Wongpakaran N, van Reekum R, Wongpakaran T, Clarke D. Selective serotonin reuptake inhibitor use associate with apathy among depressed elderly: a case control study. Ann Gen Psychiatry 2007;6:7. 17. Wongpakaran N, Wongpakaran T. The Thai version of the PSS-10: An Investigation of its psychometric properties. Biopsychosoc Med. 2010 Jun 12;4:6. 18. Wongpakaran T, Wongpakaran N. Wannarit K. Validity and reliability of the Thai version of the Experiences of Close Relationships-Revised questionnaire. Singapore Med J 2011 Feb 52(2)100-106. 19. Wongpakaran T, Wongpakaran N. Confirmatory factor analysis of Rosenberg Self Esteem scale. J Psychiatr Assoc Thailand 2011; 56:59-70. 20. 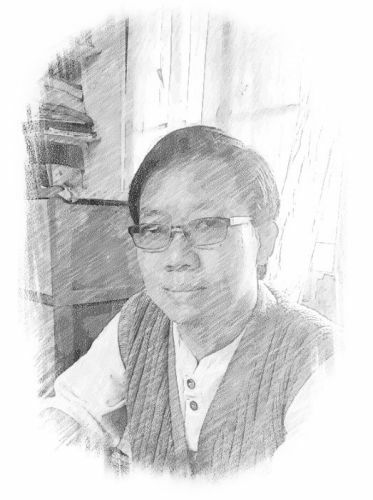 Wongpakaran N, Wongpakaran T, Bookamana P, Pinyopornpanish M, Maneeton B, Lerttrakarnnon P, Uttawichai K, Jiraniramai S. Diagnosing delirium in Thai elderly by family physicians: The utilization of CAM algorithm. BMC Fam Pract. 2011 Jul 1; 12(1):65. 21. Wongpakaran T, Petcharaj K, Wongpakaran N, Sombatmai S, Boripuntakul T, Intarakamhaeng D, Wannarit K. The effect of Telephone-Based Intervention (TBI) in alcohol abusers: A pilot study. J Med Assoc Thai 2011; 94 (7): 849-56. 22. Wongpakaran T, Wongpakaran N, Boripuntakul T. Symptom Checklist-90 (SCL-90) in a Thai Sample. J Med Assoc Thai.J Med Assoc Thai 2011; 94 (9): 1141-9. 23. Wongpakaran T, Wongpakaran N, Ruktrakul R. Reliability and Validity of the Multidimensional Scale of Perceived Social Support (MSPSS) Thai version. Clin Pract & Epidemiol Ment Health 2011;7:161-6. 24. Wongpakaran T, Wongpakaran N. A Comparison of Reliability and Construct Validity between the Original and the Revised Versions of the Rosenberg Self-Esteem Scale. Psychiatry Investig 2012;9(1):54-8. 25. Wongpakaran T et al. Interrater reliability of Thai version of the Structured Clinical Interview for DSM-IV Axis II Personality Disorders (T-SCID II). J Med Assoc Thai 2012 2012; 95 (2): 264-9. 26. Wongpakaran N, Wongpakaran T. Prevalence of major depressive disorder and suicide in long-term care facilities: A report from northern Thailand. Psychogeriatrics. 2012;12(1):11-7. 27. Wongpakaran T, Wongpakaran N, Wedding D. Gender differences, attachment styles, self-esteem and romantic relationships in Thailand. Int J Intercult Relat 2012;36(3):409-17. doi: 10.1016/j.ijintrel.2011.12.001. 28. Wongpakaran T, Wongpakaran N. Short version of Experience of Close Relationship questionnaire. Clin Pract Epidemiol Ment Health. 2012;8:36-42. 29. Wongpakaran T, Wongpakaran N, Sirithepthawee U , Pratoomsri W, Burapakajornpong N,Rangseekajee P, Bookkamana P, Temboonkiat A. Interpersonal Problems among psychiatric outpatients and non-clinical samples. Singapore Med J. Singapore Med J. 2012 Jul;53(7):481-7. 30. Wongpakaran N, Wongpakaran T, van Reekum Robert. Social inhibition as a mediator on neuroticism and depression in elderly. BMC Geriatrics 2012, 12:41 doi:10.1186/1471-2318-12-41. 31. Wongpakaran N, Wongpakaran T. A revised version of the Thai Multidimensional Scale of Perceived Social Support (MSPSS). Spanish J Psychol 2012; 15: 3: 1503-1509. 32. Wongpakaran T, Wongpakaran N. How the interpersonal and attachment styles of therapists impact upon the therapeutic alliance and therapeutic outcomes. J Med Assoc Thai 2012; Dec;95(12):1583-92. 33. Wongpakaran T, Wongpakaran N, Sakamoto IR, Boripunthakul T. Group Cohesiveness Scale (GCS). Pers Psychiatr Care. 34. 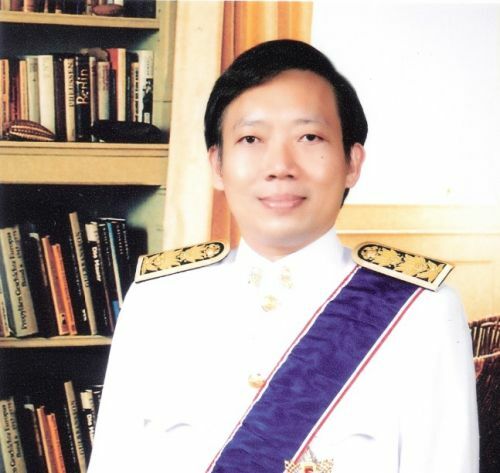 Wongpakaran N, Wongpakaran T, Reekum RV. The Use of GDS-15 in Detecting MDD: A Comparison Between Residents in a Thai Long-Term Care Home and Geriatric Outpatients.J Clin Med Res. 2013 Apr;5(2):101-11. doi: 10.4021/jocmr1239w. Epub 2013 Feb 25. 35. Wongpakaran N, Wongpakaran T, Wedding D, Gwet KL.A comparison of Cohen's Kappa and Gwet's AC1 when calculating inter-rater reliability coefficients: a study conducted with personality disorder samples.BMC Med Res Methodol. 2013 Apr 29;13(1):61. 41. Wongpakaran N, Wongpakaran T, Wannarit K, Saisavoey N, Pinyopornpanish M, Lueboonthavatchai P,et al. Level of agreement between self-rated and clinician-rated instruments when measuring major depressive disorder in the Thai elderly: a 1-year assessment as part of the THAISAD study.Clin Interv Aging. 2014 Feb 25;9:377-82. doi: 10.2147/CIA.S56683. eCollection 2014. 44. Wongpakaran N, Wongpakaran T, Boonyanaruthee V, Pinyopornpanish M, Intaprasert S. Comorbid personality disorders among patients with depression. Neuropsychiatr Dis Treat. 2015;11:1091-1096. [Full-text]. 46. Wongpakaran T, Wongpakaran N, Tanchakvaranont S, Bookkamana P, Pinyopornpanish M, Wannarit K, et al. Depression and pain: Testing of serial multiple mediators. Neuropsychiatr Dis Treat. 2016;12:1849-60. doi:10.2147/NDT.S110383. 47. Paiboonsithiwong S, Kunanitthaworn N, Songtrijuck N, Wongpakaran N, Wongpakaran T. Learning styles, academic achievement & mental health problems among medical students. J Educ Eval Health Prof. 2016;13:38. doi:10.3352/jeehp.2016.13.38. 52. Jiraniramai S, Jiraporncharoen W, Pinyopornpanish K, Jakkaew N, Wongpakaran T, Angkurawaranon C. Functional beliefs and risk minimizing beliefs among Thai healthcare workers in Maharaj Nakorn Chiang Mai hospital: its association with intention to quit tobacco and alcohol. Subst Abuse Treat Prev Policy. 2017 Jul 12;12(1):34. doi: 10.1186/s13011-017-0118-1. 55. Buntragulpoontawee M, Phutrit S, Tongprasert S, Wongpakaran T, Khunachiva J. Construct validity, test-retest reliability and internal consistency of the Thai version of the disabilities of the arm, shoulder and hand questionnaire (DASH-TH) in patients with carpal tunnel syndrome. BMC Res Notes. 2018 Mar 27;11(1):208. doi: 10.1186/s13104-018-3318-5.